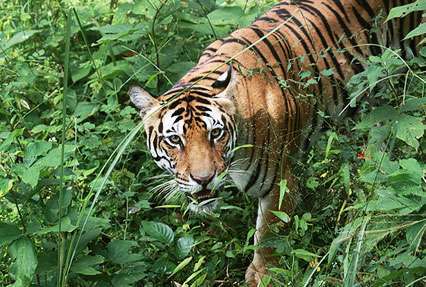 If you love interacting with wildlife and treating your eyes to lush greenery, Tiger Tour in India, a 10-night and 11-day package by Indian Holiday, is just the right option for you. 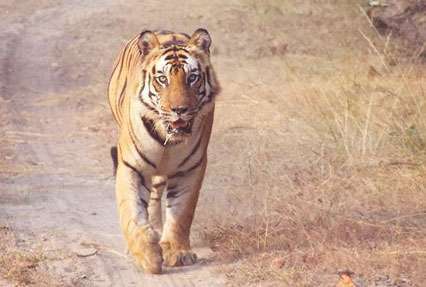 During the itinerary, you visit Bandhavgarh, Kanha and Pench national parks, located in the central Indian state of Madhya Pradesh. An added attraction of the tour is stay in luxury safari properties, managed by the Taj Group. Have a comfortable stay amidst contemporary luxuries. All these wildlife reserves are popular for housing a significant population of the big cats along with the a varied variety of other animals and birds. Once you arrive at the Delhi airport, meet an IHPL representative who helps you with an assisted transfer to a pre-booked Taj property. After check-in formalities, the rest of the day is free to indulge in leisure activities such as exploring the nearby surroundings on-foot, shop at the popular city markets, gorge on mouth-watering street food and so on. If you wish, you can enjoy the facilities at your hotel. Stay overnight. After a sumptuous breakfast, day 2 of the tour is scheduled for a city tour including the main attractions of New and Old Delhi. The list of the attractions of today includes Laxmi Narayan temple, Parliament house, India Gate, Jama Masjid and Gandi Memorial. 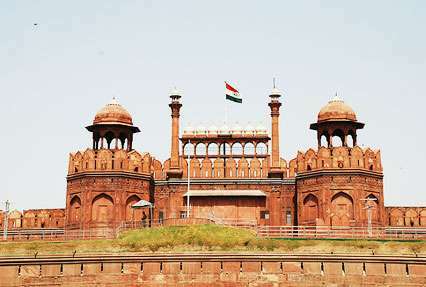 The evening is for attending a sound and light show at the Red Fort. Overnight stay in Delhi. Have dinner, followed by an early morning assisted transfer to the Delhi airport to board a flight to Jabalpur. Once at the Jabalpur airport, begin driving to the Bandhavgarh National Park. Known for its highest density of tiger population in India, this national park is also a breeding ground for various species of deer and leopards. Once you arrive at the national park, complete the check-in formalities at the Taj luxury wildlife resort, Mahua Kothi. In the afternoon, post lunch, indulge in wildlife viewing during a jungle safari. Post dinner, overnight stay at Mahua Kothi. Day 4 of the tour is for wildlife safaris inside Bandhavgarh, accompanied by a naturalist. Once in the morning and then in the afternoon. You have an option of a jeep safari or an elephant safari. Covering an area of 446 sq. km, this national park houses a vast variety of exotic flora and fauna. During your safari, you can spot animals like sambar, Bengal tigers, sloth bear, grey mongoose, python, rat snake, red jungle fowl, nilgai, chinkara, wild boar and more. All meals and overnight stay at Mahua Kothi. 5th day of the tour is for bird watching along with tiger-tracking. Bandhavgarh national park is known for being home to as many as 150 avifauna species. You can spot a number of colourful birds such as Bay Backed Shrike, White Eyed Buzzard, Indian Moorhen, Olive Backed Pipit, Black Headed Oriole, Yellow Crowned Woodpecker, Barred Button Quail, White Browed Fantail Flycatcher, Rose Ringed Parakeet, Alexandrine Parakeet and more. An added attraction of the day is a visit to the Bandhavgarh fort, located inside the park. Placed on a hill, this fort is around 811 meters above the sea level. It is believed this fort is 2000-years old. The fort has a total of 39 caves. All meals and overnight stay at the luxury resort. th day of the tour post breakfast, hit the road to Kanha National Park (approx. 6 hrs), one of the most well-maintained national parks in Asia. This park was an inspiration behind the popular novel by Rudyard Kipling, ‘The Jungle Book’. Spread in 940 sq. km of land, this national park has Indian wild dogs, Royal Bengal Tiger, sloth bears, leopards, and Barasingha in good numbers. Arrival at the national park in the afternoon. Check-in at Banjar Tola, a Taj Safari Lodge. Have your lunch. The rest of the day is free for you to indulge in leisure activities such as taking a walk in the nearby area, treating your eyes to the lush greenery around, interacting with the park’s naturalist and so on. After dinner, overnight stay at Banjar Tola. Days 7 and 8 are for tiger safaris inside the Kanha National Park- one in the morning and then one in the evening. Along with exploring the exotic variety of the park, also treat your eyes to the verdant flora that is spread around. Kanha is known for housing more than 1000 species of flowering plants. 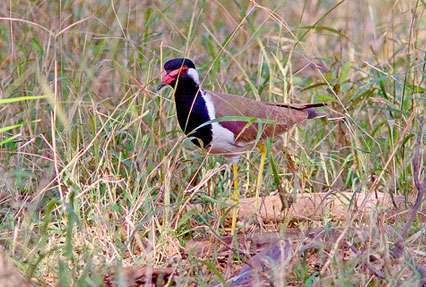 During wildlife viewing, you can spot varied animals and birds like , chousingha, nilgai, mouse deer, jackal fox, tiger, sambar, gaur, pea fowl, mongoose, leopard, python, spur fowl, ring doves, kingfishers, finches, woodpeckers, flycatchers, pintails, pond herons, rock pigeons, papihas, cuckoos, parakeets, green pigeons and so on. Do not miss visiting the Bamni Dadar point, a major attraction inside the park. This point, also known as Sunset Point, is known for offering some nice sunset views. All meals and overnight stay at Banjar Tola. Once you have your breakfast, get transferred to the Pench national park by road. Covering an area of around 758 sq. km of land, this national park is the original setting of the Rudyard Kipling’s ‘Jungle Book’. This national park also finds its mention in Ain-i-Akbari, because of its natural wealth. In 2011, Pench also won the Best Management Award. After reaching, complete the check-in formalities at Baghvan, one of Taj’s luxury wildlife resorts. Relish hot lunch. Later, partake in wildlife viewing inside the park. The park has 39 mammal species, 13 species of reptiles and 3 species of amphibians. Dinner, followed by overnight stay at the luxury resort. On the 10th day of the tour, enjoy wildlife safari inside the park in the morning and evening. During game viewing, you can spot several animal and bird species such as barking deer, sloth bear, porcupine, fox, Jungle cat, chowsingha, tigers, panthers, wild dog, lesser whistling teal, egret, racket-tailed drongo, chital, spotted deer, pintail, herons, magpie robin, barbet, red-vented bulbul and more. All meals and overnight stay at Baghvan. Today is the last day of the tour, when after breakfast at the resort, you get transferred to the Nagpur airport. From here, you catch a flight to Mumbai. On arrival at the Mumbai airport, you get an assisted transfer to the international airport to board a flight back home.